Always wanted to try ice climbing? 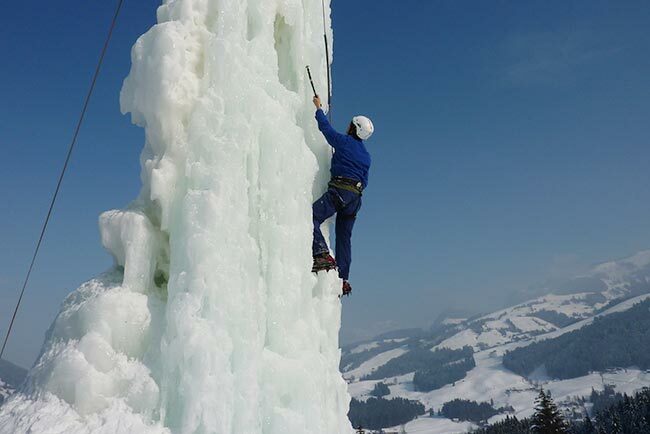 Then ice climbing in Kirchberg at Sportberg Gaisberg is a must. This 20m-high, floodlit ice tower is one of the tallest man-made climbing towers in Europe. Taster courses take place every Wednesday from 6.30pm to 9pm, with mountain guides and professional ice climbers to teach you the basic techniques.